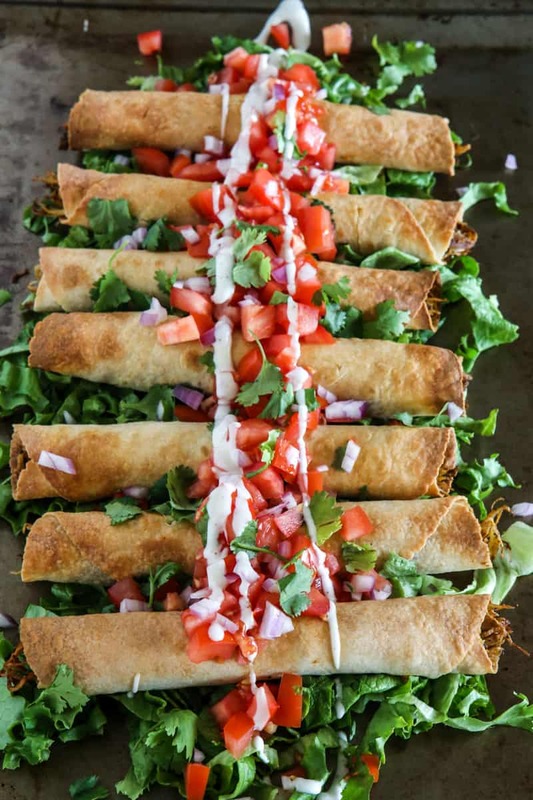 These quick and easy gluten-free flautas make the perfect weeknight meal that the whole family will love. This simple recipe is made with Mission® Gluten Free Soft Taco Tortillas and lean chicken breasts and then baked, not fried. My family loves when I make Mexican dishes at home. It’s fun, easy and always delicious. 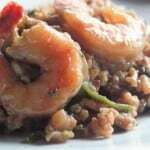 We love the super fresh ingredients and the spicy flavors. I even make my own homemade taco seasoning that I add to lots of delicious Mexican dishes, like this fun and easy flautas recipe. My family gets so excited when I say I’m making flautas. They love to help make them and eat them! They’re perfect and never fall apart in little kid hands. My husband and I love how crisp and full of flavor they are. But I mostly love that these are baked, not fried and made with gluten-free tortillas! 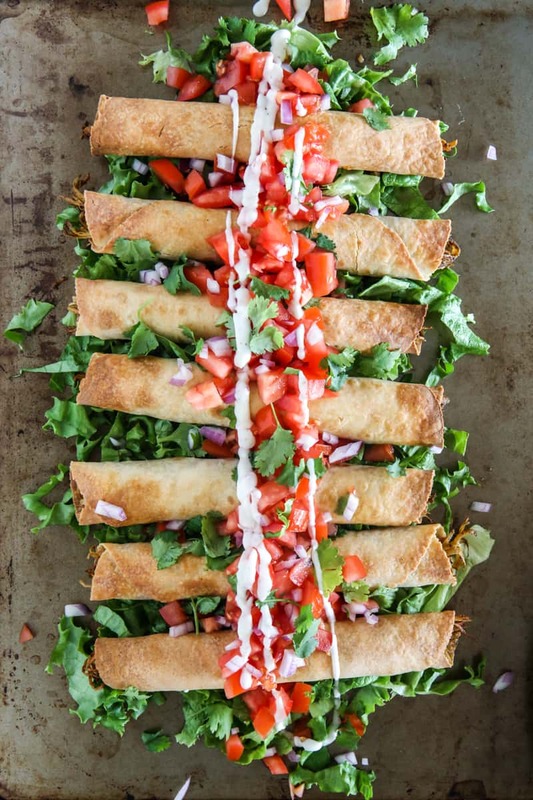 I make these flautas with Mission Gluten Free Soft Taco Tortillas. I’ve been trying to add gluten free ingredients to my family’s diet more and more. I’ve really been amazed at how many gluten free products are on the market now. 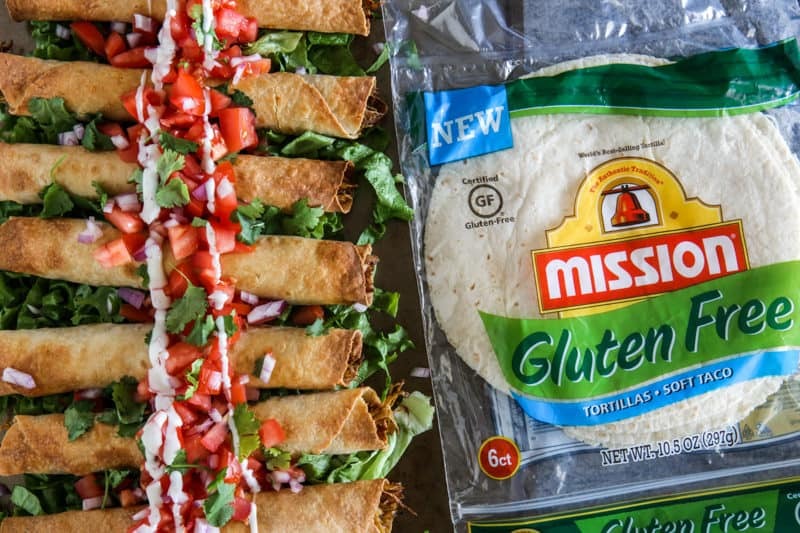 And there are so many great, high quality options for some of my favorite foods like these Mission Gluten Free Soft Taco Tortillas. 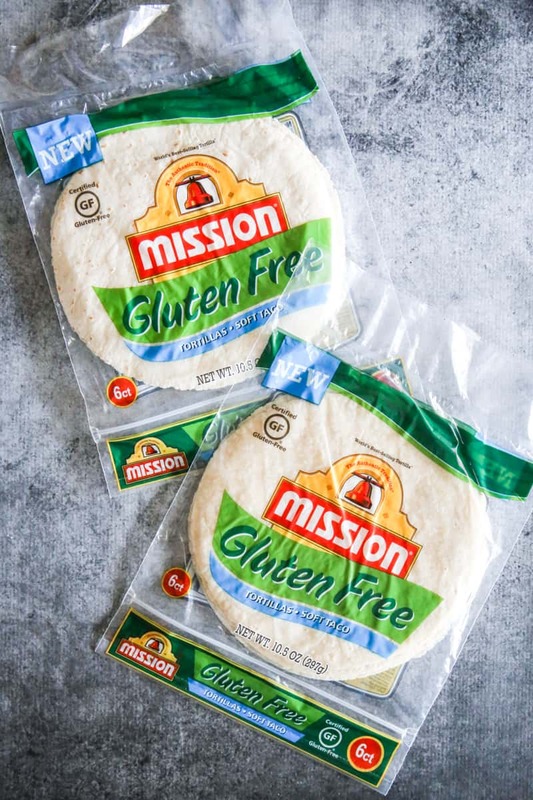 We love Mission tortillas and I was so happy when I found these gluten-free tortillas. They taste amazing! I’ve also been making lots of quesadillas for the kids with these. Bean and cheese quesadillas make great after school snacks and easy weekend lunches for the family. And these tortillas taste so good and soft, no one even notices that they are gluten-free! We also use Mission Gluten Free Soft Taco Tortillas for breakfast burritos, tacos and wraps too! There’s so many delicious treats you can make with these delicious, soft tortillas without sacrificing flavor. You can find Mission Gluten Free Soft Taco Tortillas in the tortilla section of your local grocery store or in the gluten free aisle. These are available nationwide too! Be sure to visit the Mission Gluten Free Homepage for more delicious recipes and a store locator to find these amazing Mission Gluten Free Tortillas. With these Mission Gluten Free Soft Taco Tortillas you can ditch the gluten without sacrificing the flavor. Mission Gluten Free Soft Taco Tortillas are certified gluten-free and a have no trans-fat and zero cholesterol. Add chicken to a medium sauce pan and cover with water. Bring to a boil over medium heat and cook for 15 - 20 minutes, or till no longer pink. When chicken is done, remove from water and shred in a large bowl. Add taco seasoning to meat and mix well. Heat oven to 400°. Heat tortillas in microwave for 20 seconds on high. 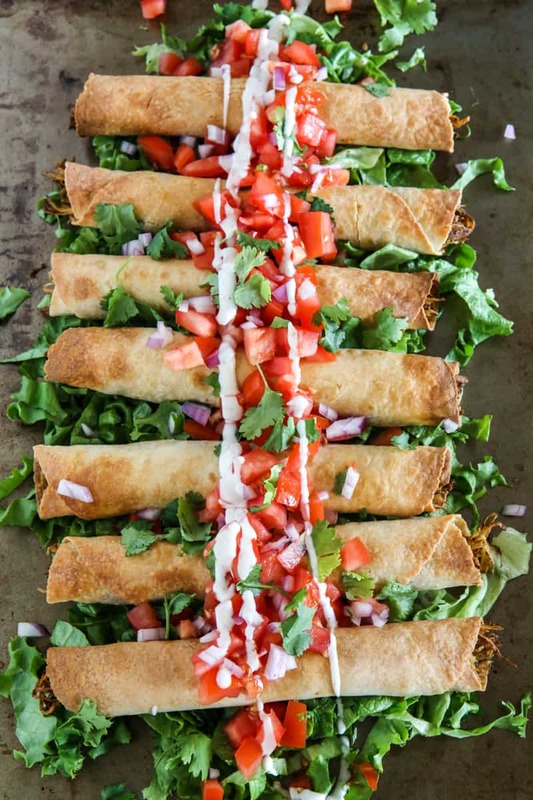 Take one tortilla and add a few tablespoons of shredded chicken (about 3 tablespoons) and tightly roll the flautas and secure with a toothpick. Place seam side down on a cookie sheet that has been coated with olive oil non-stick spray. Continue rolling all 12 flautas and place all on the cookie sheet. 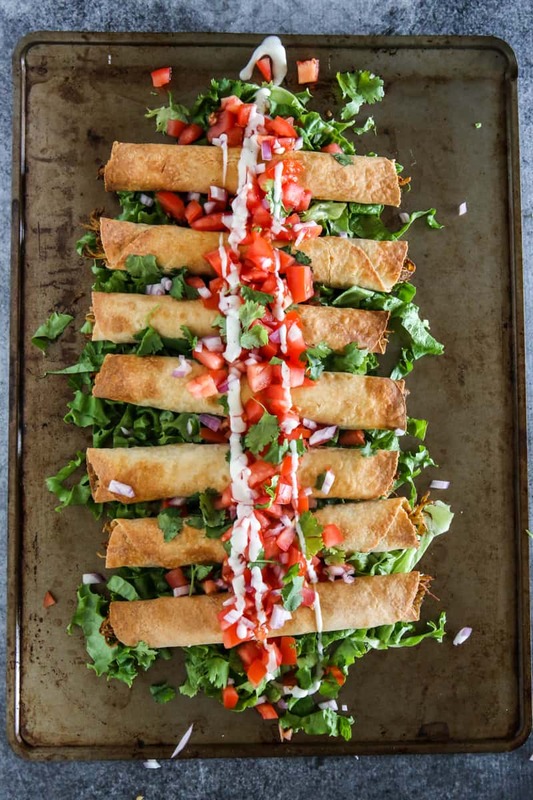 Spray the tops of the flautas with non-stick olive oil spray and place and place in oven to bake for 15 - 20 minutes or until golden brown. 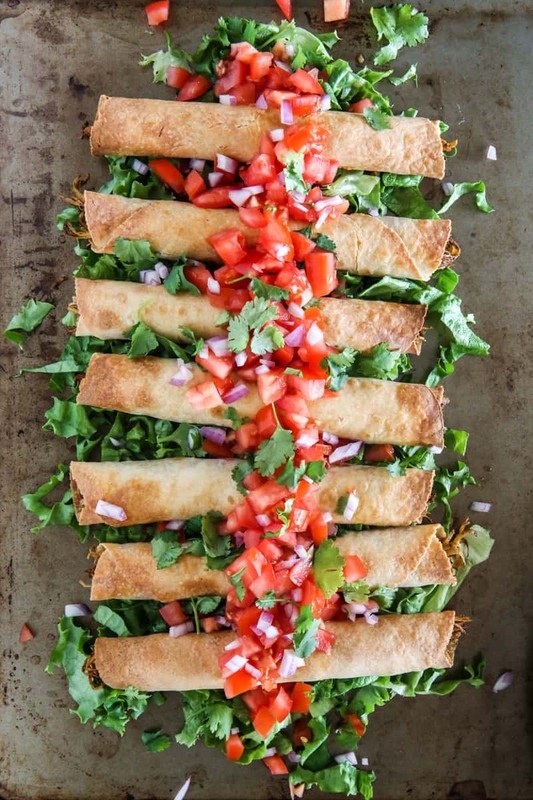 Serve flautas over chopped lettuce and top with chopped tomatoes, onion, and cilantro. Drizzle with sour cream and serve with salsa and guacamole.